Ardha Chandrasana is also called the Half Moon Pose, as the word ‘Ardha’ means Half, ‘Chandra’ means Moon and the word ‘asana’ means position. 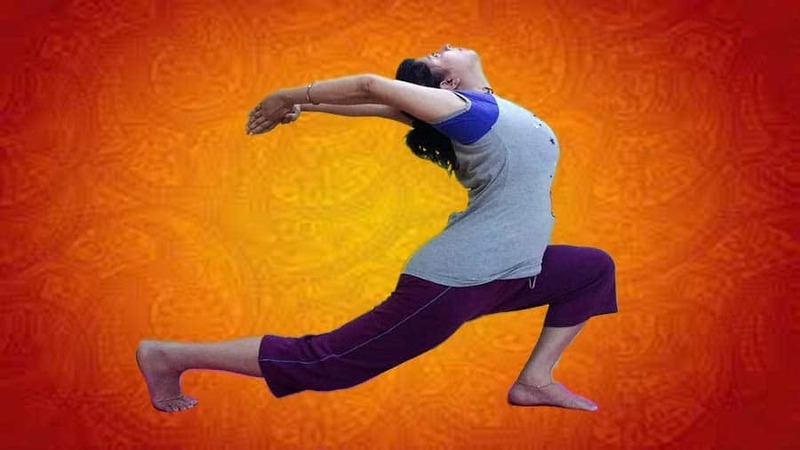 Addition of the Yoga Pose Ardha Chandrasana to Surya Namaskar at positions 5 and 10 (after Ashwa Sanchalanasana at positions 4 and 9), make it Chandra Namaskar. Ardha Chandrasana is one of the excellent Yoga stretches releasing congestion from chest, shoulders and the neck zone. This asana acts as a stress buster, relieving the mind of tension. Spread a Yoga Mat on the floor and practice the Ashwa Sanchalanasana with the left leg in front and right leg stretched behind. Maintaining the balance, bring the palms together in front of the chest and join them. Keeping both the palms joined, inhale and raise the arms up over the head. Start bending backward, giving an arch to the head and upper trunk. Bend backward as far as comfortable. Do not strain. In the final pose, there will be a curve from the tips of the fingers to the toes of the left leg, resembling a crescent moon. Balance in the final position for a few seconds holding the breath. To release the posture, exhale and lower the hands back in front of the center of the chest. Return to Ashwa Sanchalanasana and then to starting position. Relax in Vajrasana for some time. Practice the Ardha Chandrasana again with the right leg in front and left leg stretched behind. This asana should not be practiced by people suffering from knee or ankle or back injuries. Ardha Chandrasana massages and tones the abdominal organs. Half Moon Pose stretches the spine and the lower back. The legs, knees, and ankles are strengthened. This Yoga asana opens up groins and hips. Ardha Chandrasana strengthens the muscles of the chest and increases the lungs’ capacity. It also strengthens the entire skeletal structure. 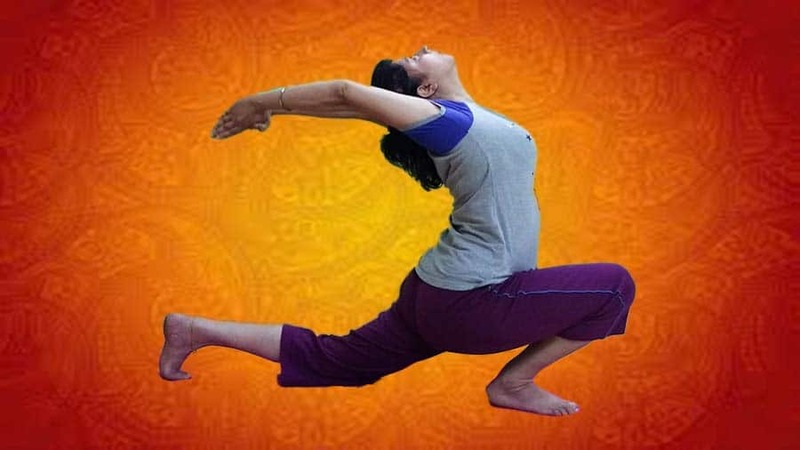 Ardha Chandrasana is a backward bending asana and should be either preceded or followed by a forward bending Yoga asana such as Padahastasana(pose 3 & 10 of surya Namaskar), Parvatasana (pose 5 & 8 of surya namaskar) or Paschimottanasana.